Swedish and cross muscle fibre massage techniques, with stretching and draining, are combined with essential oils known for their beneficial effects on the circulation. Black pepper, rosemary and ginger warm the muscles and help disperse the build-up of lactic acid that causes stiffness and pain. An intensive massage that works deep into stiff, tight aching muscles to instantly release pain and tension. Five Elements styled full body massage with warmed crystals and black basalt stones to bring sensuous warmth and healing. This hero treatment comprises a consultation to find out your emotional and physical needs and an aroma test to allow you to choose the oil most suitable for you. 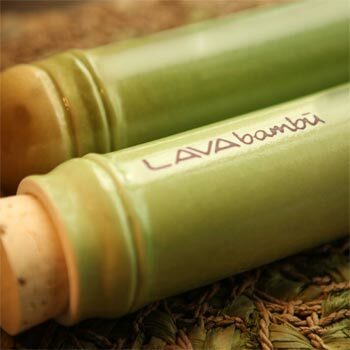 With so many products that are far removed from nature, Lava Bambu allows therapists the opportunity to perform a naturally heated massage. For hundreds of years, South Pacific Islanders have harvested beautiful Tiger Striped Clams for food, and thrown the shells away. After a detailed consultation, our therapists will determine the most suitable massage for you. This body massage honours and respects ancient Tibetan traditions of healing, restoring, harmonising and strengthening the body's natural flow of energy. Vital Energy also refers to the naval chakra, the body's centre of fire and sun energy. Showing compassion to ourselves and our physical bodies, this deep and rhythmic body work allows realignment and softening of the muscular system and stimulation of energy flow through focused movements. The purest most ethically sourced essential oils are custom blended after consultation and combined with a deeply hydrating mixture of organic argan, rose hip seed and sweet almond oil. A treatment for weary travellers to get you back on track when you're feeling fuzzy, tired and sluggish. Cold therapy is an age-old method for treating chronic pain and injuries and Glacial Shells deliver these benefits in a soothing treatment for the body.